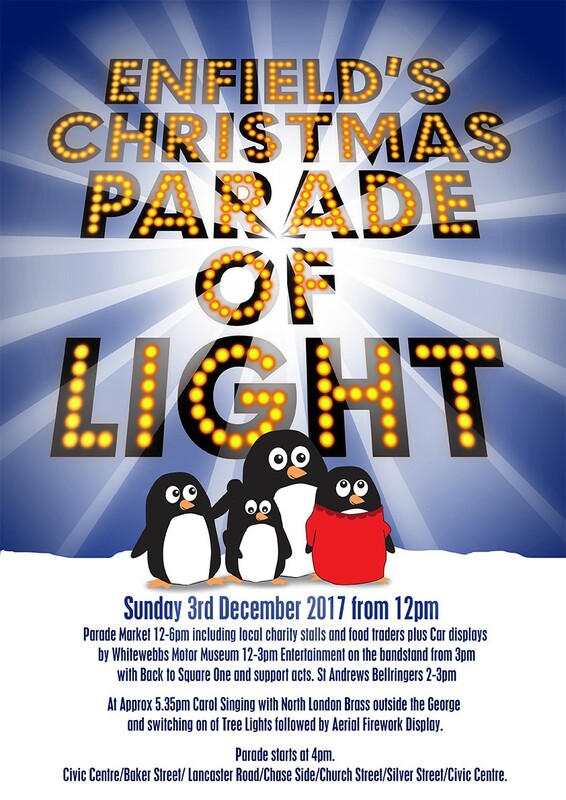 SMP will once again be taking part in the Parade of Light with our Little Mermaid Float in Enfield Town on Sunday 3rd December and this year the parade is bigger than ever. The parade starts at 4pm and you can find out rough timings on the rout map below. It finishes on the high street where the Mayor will turn on the Christmas tree lights and everyone will sing a few carols. The festivities are rounded off with a terrific firework display at approximately 5.30pm. We hope to see you there! 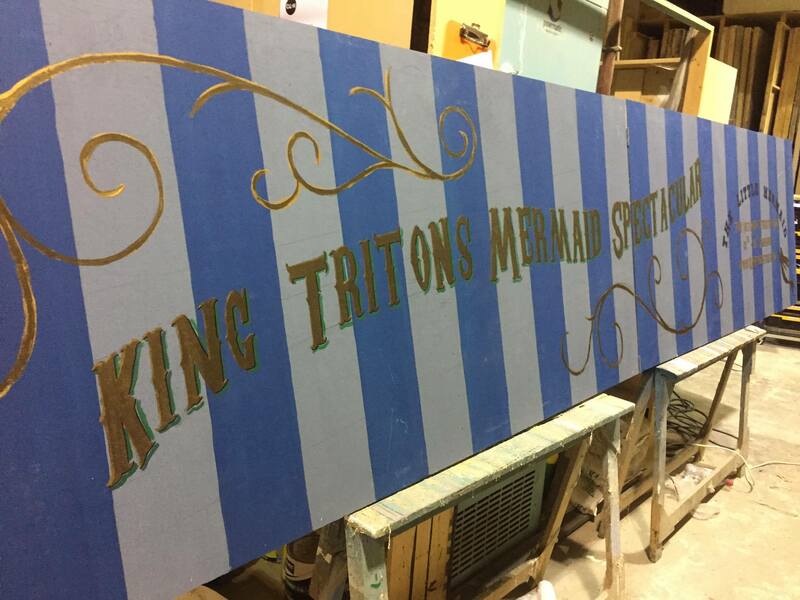 We’ll be the 22nd float in the parade so keep your eyes peeled for us. 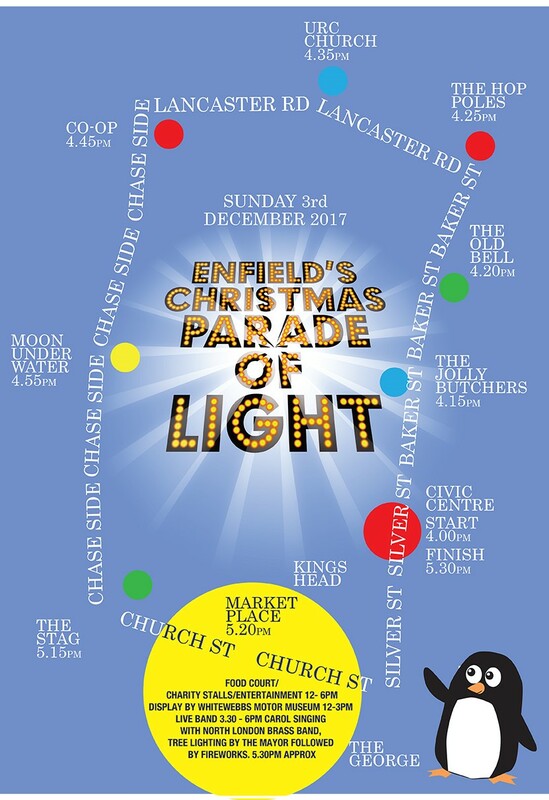 We’re very lucky that this year our float has been designed by the very talented Matt McManus from Cloud and Horse so we’re going to look even better than usual and we’ll be representing Enfield Borough in the Lord Mayors New Years Day Parade again this year. Here’s a sneek peak of what we’ll look like thanks to Matt’s hard work. During the parade we’ll be collecting for charity so please bring along some change to chuck in our buckets! Thanks. 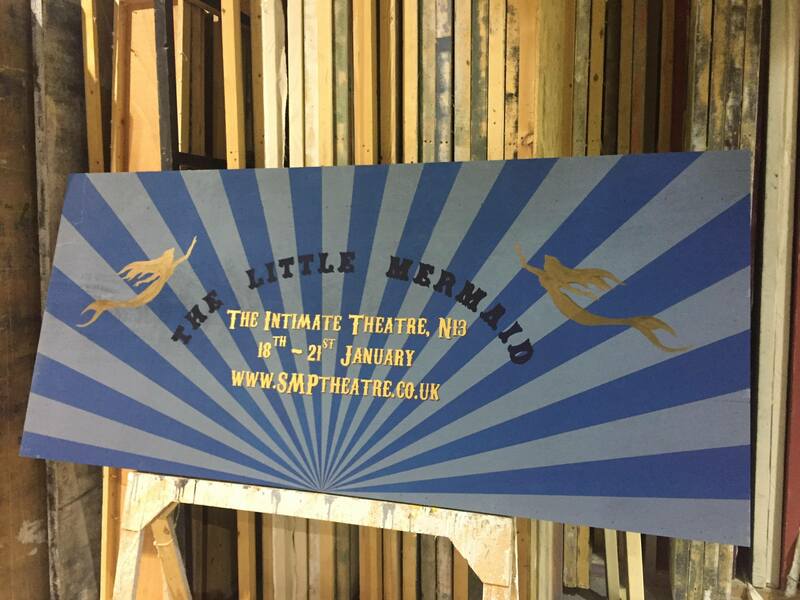 Tickets for The Little Mermaid are now available to book. Thurs 18th to Sat 20th January 2018 at 7.30 p.m. & Matinee on Sat 2oth & Sunday 21st January 2018 at 2.30 p.m.
£14 Full/£11 Concessions. Please ring 07708 708 062 Or email SMPTickets@hotmail.com to book.